There are a number of reasons why you should learn how to burn a CD. Although CD burning seems to be turning into a thing of the old with videos now online on platforms like YouTube, it is still a cool thing to burn a CD. Generally, with a CD burning software, you can copy any discs you already have, rip their content onto your computer, and also you can become a creator of your own discs from scratch using such files from your computer. It is advisable to get a burning program that enables you to easily burn a data, audio, or video file into a CD, DVD, or Blu-ray disc. CD burning gives you the opportunity to use and store your digital media. There are a number of free CD burners available to you online. However, it is important to download the one that would be actually useful to you and easy to use. Check below for the best free CD burning software you can try. 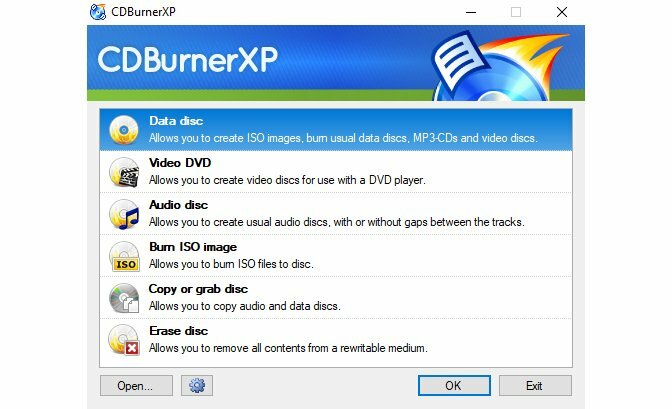 CDBurnerXP supports burning to different forms of optical media discs such as CD, DVD, HD-DVD, and even Blu-ray. With this program, you will be able to burn an audio or data CD into AAC, MP3, ALAC, FLAC, OGG, WAV, and a number of other formats. Featuring a user-friendly multi-language interface, CDBurnerXP can be installed on most versions of Windows. Compatible with Windows 10, 8, 7, Vista, 2003, XP, and 2000, CDBurnerXP directly adds tracks to your collection from audio CDs without first ripping the tracks. Also, this free burning software features a well-integrated audio player that allows you to play your music. This CD burner also allows you to burn and produce ISO files into CDs. An ISO file is simply a single file that is similar to a CD or DVD. CDBurnerXP is an ultra-light leading maker tool that allows you to burn an assortment of both standard and high definition file formats without enduring any needless bulk. This software is very easy to install and use, and it doesn’t have the usual adware barrage that people encounter with some other software. Download the Express Burn if you want a CD burning software that is a fast, easy and user-friendly disc burner for Windows/Mac. Its features include audio CD burning and recording, Blu-ray burning video and DVD authoring, data DVD/CD/Blu-ray writing and so on. Express Burn makes use of ultra-fast burning speed, which is time-saving. The software is very easy to use with its drag-and-drop clicks. Among all the best CD burning software presented here, Express Burn is one of the few compatible with MacOS. This is chiefly because iTunes allows you to burn discs for free and Macintosh computers don’t come with optical drives anymore. Nevertheless, if you desire more options than what iTunes has to offer, and you have access to an external CD burner (or even an older Mac), Express Burn is a great option for you. Aside from being able to burn an audio CD using this software, you can also burn data discs with it. Another interesting thing is that it is not limited to just CDs, it can also be used for DVD or Blu-ray discs. It features superb authoring tools that produce a professional-looking disc, complete with menus as well as chapter breaks that can be played by any Blu-ray or DVD player. DeepBurner Free program is known to be lightweight yet very powerful. It is basically a CD burning software designed for home users. This software allows you to copy any disc, create backups, as well as burn audio CDs and data CDs or DVDs. Featuring bootable DVD/CD support, this free CD burner allows you to produce and burn ISO images. However, for an advanced or business user, you may want to go for the paid version of the program called DeepBurner Pro. Aside from working with all DVD/CD drives, DeepBurner Free is compatible on Windows 8, 7, Vista, as well as XP. 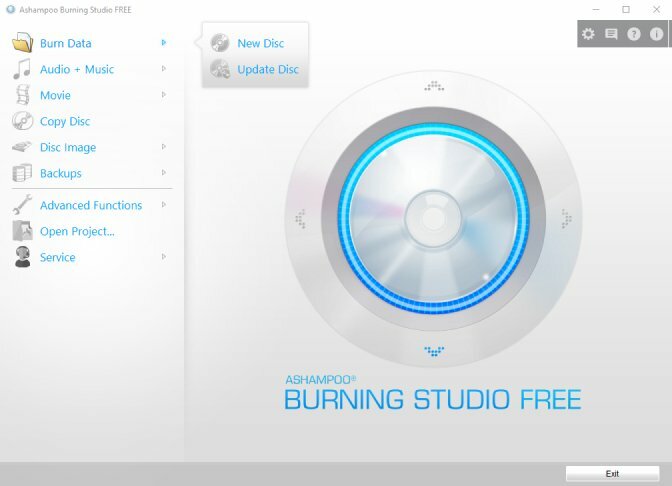 Another free CD burner you can give a try is the Ashampoo Burning Studio Free. 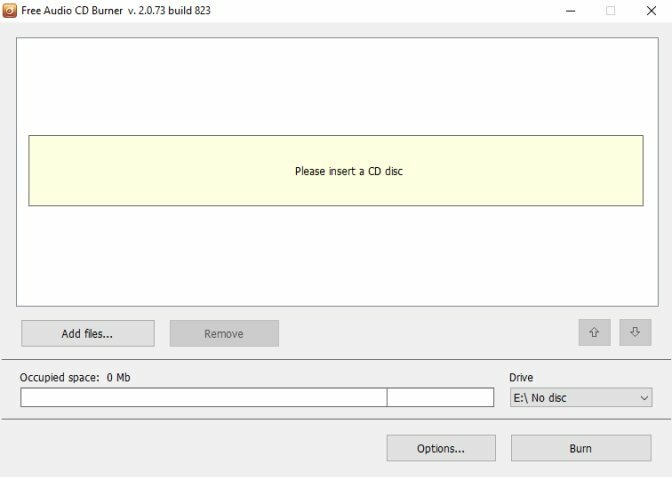 This free CD burner does not only have all the basics needed to create data and music discs, but it also includes a few extra features. For instance, you can use it to password protect discs as well as to erase rewritable CDs for reuse. There is, however, no Mac version of the software. Ashampoo Burning Studio Free is not just used to burn data, music, and video discs but also to copy and rip discs, back up and restore data, create ISO/BIN images, as well as erase rewritable discs. This software has more powerful features such as multi-disc file backup, restore an integrated Audio CD ripper that produces high-quality WAV or WMA files, as well as verification without having to eject the disc in supported drives. If all you want is a simple software for you to easily create audio CDs, getting Free Audio CD Burner is not a bad choice. 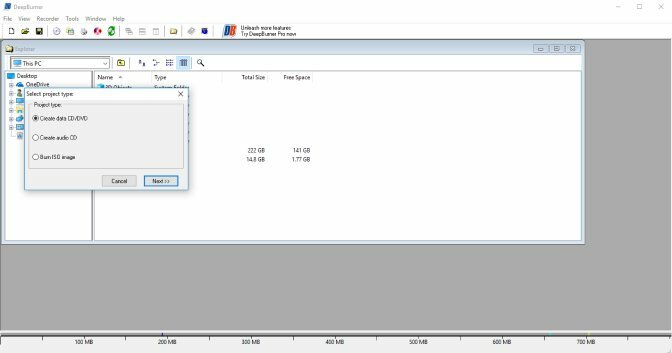 Although it only enables the writing of CDs, it can be used to decode WMA and MP3 files in real time, therefore it saves you time as well as hard drive space. Free Audio CD Burner can be used to burn CD-RW and CD-R discs as well as erase information from rewriteable discs. You can adjust it in a way that it will write track by track and end up un-finalized. Also, you may simply choose to use it to burn a whole disc at once and then finalize it. 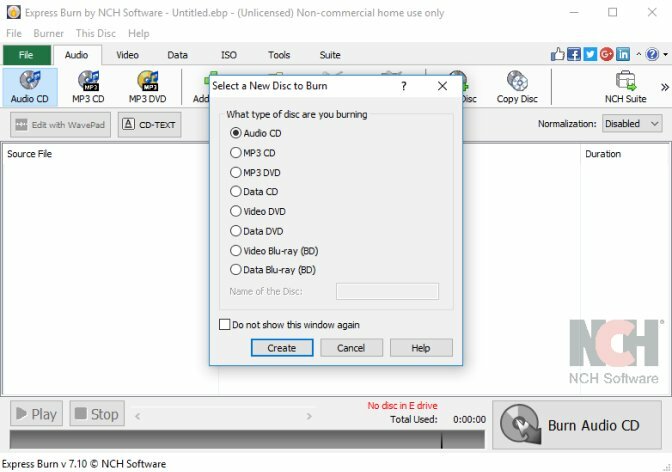 This free CD burner software works with Windows 10, 8, 7, Vista, as well as XP SP3, and it supports different audio formats. With all these free software (and most likely more) for CD burning available online, you can be certain that the burning process will be done easily and efficiently with you undergoing just a little or no problem at all. 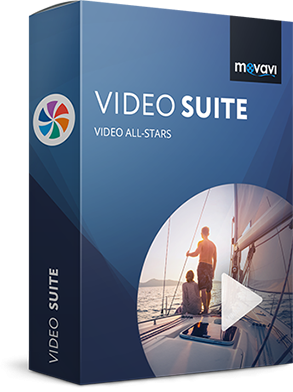 Another great CD burning tool you should try for burning your videos is the Movavi Video Suite. With an impressive interface, Movavi is one of the best you can use as this software has several tools and features for burning CD to effectively suit the user’s taste. It is highly user-friendly, and it makes your work easier for you.